Progressive Chiropractic is dedicated to providing our patients with the finest comprehensive care for their most painful and persistent health problems. Today, more than ever, people are realizing that current medical treatments of medication and surgery are not solving their most painful and debilitating health problems. In fact, many of these treatments are now proving to have serious health risks of their own. Unfortunately, even some Chiropractic Offices have succumbed to the pressures of the insurance industry and now provide only superficial treatments with little or no long lasting relief. Over the past sixteen years in practice Dr. Ranzette developed the PROGRESSIVE SYSTEM OF CARE to address the shortcomings in our healthcare system . 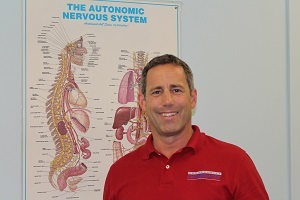 The PROGRESSIVE SYSTEM utilizes Chiropractic Spinal Care, Patient Education, Nutrition, Ergonomic Training, Massage Therapy, Active Release Technique (ART), Traction, Muscle Rehabilitation, Advanced Stretching Instruction, Trigger Point Therapy and all Physical Therapy Modalities such as Electric Stimulation, Ultrasound, Moist Heat and Ice. It is this unique comprehensive approach that has helped our patients achieve a better than 90% recovery rate that lasts. It was our patients who identified the difference between the Progressive System and the treatment received at other offices, Chiropractic and Medical. Sciatica, Migraine Headaches, Degenerative/Herniated Discs, Neck/Low Back Pain, Whiplash, Shoulder Pain, Carpal Tunnel......... We can help! At Progressive Chiropractic successful patient outcomes are the only thing that matters! "The doctor of the future will give no medicine, but will interest his patients in the care of the human frame, diet and in the cause and prevention of disease"
Dr. Ranzette has been interested in health for most of his life. At age 16, while bicycling to school in his home town of Wantagh, NY, he was broad sided by a car. To the doctors at the hospital, his injuries seemed minor. A simple diagnosis of “contusion to the knee” and “strained medial collateral ligament” was given. He was sent home with prescriptions for anti inflammatory and pain medications. After the soft cast was removed, and the swelling had subsided, he was released from medical care. It was over the next 2 years that Dr. Ranzette began experiencing increasing symptoms including knee, hip and low back pain with frequent headaches that eventually became debilitating migraines. The orthopedic doctor prescribed numerous medications which eventually lead to a two day hospitalization for stomach bleeding. Then one day his lower back locked up with excruciating pain. At that time Dr. Ranzette made the decision that drugs were not the answer and he demanded something different. On visiting a local Chiropractor it was found that he had multiple spinal and pelvic misalignment’s leading to subluxation. His Chiropractor also found numerous muscular imbalances requiring physical therapy, thus beginning the long road to regaining his health. After just three weeks of care his lower back and hip pain were 75% improved. To Dr. Ranzette’s amazement the adjustments to his neck also relieved his migraines, for which he had been told he would be on a drug called “Inderol” indefinitely. It was with the logical and common sense approach to the mechanical problems of his body that Dr. Ranzette became a firm believer in Chiropractic care. Wanting to share these amazing results with others, Dr. Ranzette decided to attend Chiropractic college – and six years later he graduated from Life University . Microbiology, General Anatomy , Neurology, Osteology, Disease Pathology, Exercise Physiology, Neuro-Muscular Physiology, Biomechanics, Orthopedic Diagnosis, Neuro Diagnosis, Immunology & Disease, Obstetrics & Gynecology, Geriatrics& Pediatric Assessment, X-Ray Physics, X-Ray Pathology, Nutrition. As a practicing Doctor, Dr. Ranzette has attended numerous post-graduate seminars on a variety of health topics. It is this continuing education that allows Dr. Ranzette to provide his patients with the latest and most comprehensive treatment available.